In 1996 the “Contract with America” revised the Social Security Act to provide that an individual may not be found eligible for Social Security Disability benefits or SSI if drug and/or alcohol addiction is a “material factor” to the disability determination. In other words, you cannot be awarded disability benefits if your main condition is drug and/or alcohol addiction or abuse. But, it’s not really that simple, because many people with this problem have other medical conditions that would disable them even if they never used any substances. The most common associated medical conditions are mental health disorders (bipolar, depression, anxiety, to name a few), and complications from drug and/or alcohol addiction such as pancreatitis or chronic liver disease. In many cases, these problems don’t go away simply because the person stops abusing. There are a few things any claimant can do (sorry, they’re not necessarily easy) to help us win their case even if they have had or have a problem with drug and/or alcohol addiction. Be honest about it: Ultimately, if your case is decided by a Judge one of the things he or she will be deciding is whether they believe what you are saying. If you are truthful with your doctors, therapist, etc., and with us, then we don’t make it easy for a Judge to say that you have misled in the past, so maybe you are now. It is always better to tell your doctors and us everything; your doctors can treat you more effectively, and we can help you present your case in the most successful way. Get treatment! : This is important in any Social Security disability case, but probably especially so in cases involving drug and/or alcohol addiction because the Judge has to make sure drug and/or alcohol addiction isn’t your main problem. There is no way to do that unless you are in regular treatment for allyour medical problems, physical and/or mental, as well as your substance problem. Having a history of drug and/or alcohol abuse will not prevent you from being found disabled and receiving Social Security disability benefits. The real problem lies in continuous, current use. 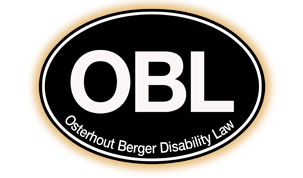 If during an abstinence/sobriety period of one month or so there is medical documentation of continuing severe symptoms from your other medical conditions, then it is very possible to make an argument that you are entitled to benefits. Social Security defines “work” as an eight hour a day, five-day week endeavor. As in most Social Security Disability claims, the judge’s decision boils down to whether or not he or she believes that you can perform the basic functions of work (sitting, standing, walking, lifting, concentrating, interacting appropriately with people encountered in the workplace, etc.). The fact that a claimant can only perform these basic functions sporadically, but not consistently, is the basis for the large majority of successful Social Security Disability claims. The best way for us to show that is to tell the Judge about “the good, the bad, and the ugly”. We have found most Judges to be very compassionate in their handling of claims based on drug and/or alcohol addiction, as long as the client is trying to help themselves and is being straight with their care providers and the Court. Many law firms will not even handle a Social Security Disability claim based on drug and/or alcohol addiction. We want to help you, even if this has been or is still is an issue. We have seen many times that recovery is a long process and that relapses can, and do, occur. We work with clients on their journey to recovery and reinforce the message of accountability and “getting back on the wagon” after any relapse as they continue on their path to maintaining sobriety.